In an ideal world, libraries would be able to offer an array of storytimes designed to meet the varying developmental needs of young children at different ages and stages. 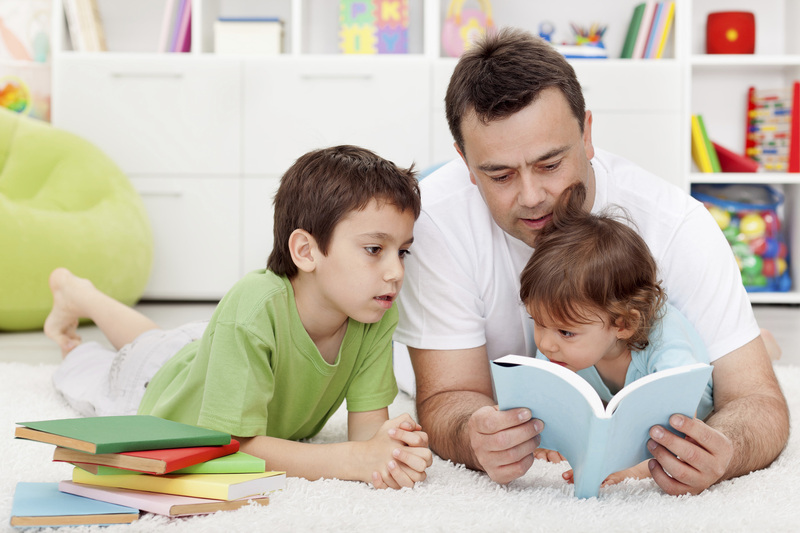 In the real world, however, having multiple, age-specific storytimes isn’t always feasible. Library resources, including staff time, are often overtaxed. Libraries in small communities, in particular, may not have the demand or the resources to support multiple storytimes. 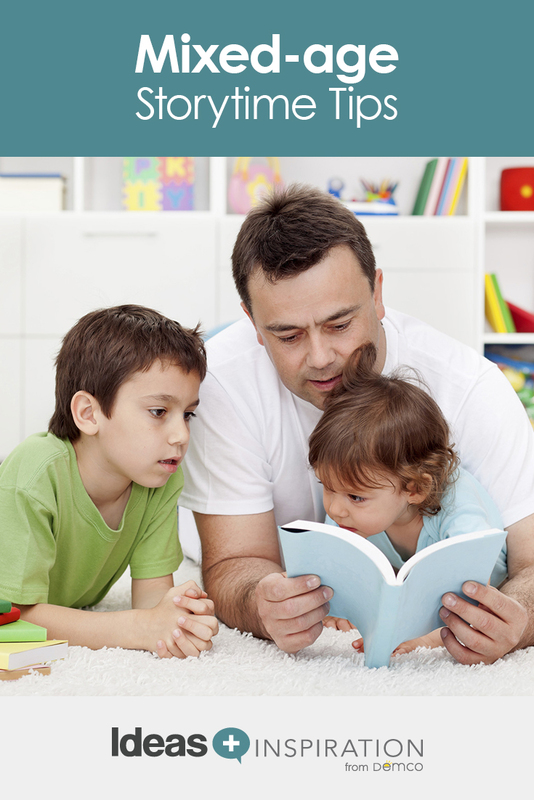 Moreover, parents and other caregivers have busy schedules, and they may not be able to attend more than one storytime during the week. For various reasons, librarians may need or want to offer a mixed-ages storytime for kids. 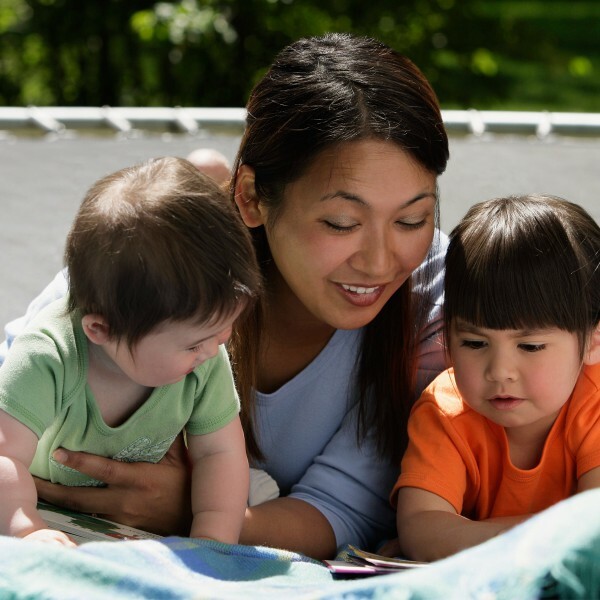 These programs can be challenging, but with planning and preparation, they can still offer a rich early literacy learning opportunity for all participants. 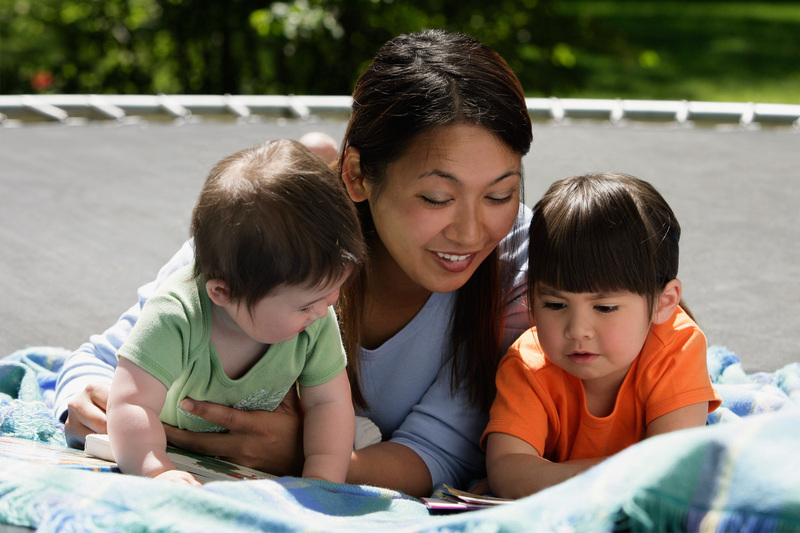 Mixed-ages storytimes require careful planning to ensure that all children can participate and stay engaged in the program. For example, children under the age of three generally do not have the fine motor skills needed for most fingerplays. Preschoolers may not want to be held or bounced on their parents’ laps. You will need to select songs, rhymes and activities that can be enjoyed by all the children or be adapted to the children’s different ability levels (see Tips for some suggestions). Once you have planned such programs, keep records so you can use the programs again in the future. When you have a group of children of varying ages, the room may be noisier and the group as a whole may be more active. An assistant (e.g., a senior volunteer, an education student or an intern) can help manage the chaos and model adaptations for activities. Finally, because whole families may attend together, you may need to require preregistration and cap the number of families in order to manage space limitations. If demand for the program is high, try to offer more than one mixed-ages storytime or repeat the series. Caregivers should attend and participate in all activities. They will need to help their babies and younger children act out the rhymes and actions. Have adults sit in a large semicircle, with their children in front of them, so they don’t block other children’s view. Select shorter books with large, bright illustrations and only a few sentences on each page. Or use wordless picture books. Preschoolers will enjoy contributing to the story, while babies and toddlers will be attracted to the pictures. If different age-appropriate versions of the same story are available, share the version for 2–3-year-olds, and then display other versions. Use a lot of music. All ages (especially babies) enjoy music, and songs and musical activities are usually easy to adapt to different ages. Preschoolers can dance and sing along, while babies and toddlers will enjoy listening and being bounced by their caregivers. Consider using more live singing than recordings so you can slow the pace for young children (good for phonological awareness). Add movement and motions to songs and rhymes so that babies and toddlers can participate. Model developmentally appropriate adaptations for parents and caregivers. If the children will be using musical instruments, make sure to offer age-appropriate options, such as egg shakers for babies and rhythm sticks for preschoolers. Include creative props and puppets — but avoid using scary puppets. Very young children will think the puppets are real. Young children do not have the fine motor skills to do the same fingerplays as older preschoolers do. Choose rhymes that use basic movements, like opening and closing hands, pointing to various fingers in countdown rhymes, or using the whole arm in motions. Finally, be prepared for chaos! Expect the unexpected. With different children at different ages and stages of development, you will likely need to adapt your plans as you go. But if you can stay flexible and keep a sense of humor, kids of every age will have a fun storytime experience. Adapted from The Very Ready Reading Program by Sue McCleaf Nespeca and Dr. Pam Schiller.